In spite of growth in the supply of liquefied natural gas (LNG) to the global market, Russian gas continued to be the most competitive and reliable source in its historical markets. Though the volume of supply grew in 2014-2016, revenue from selling gas to countries outside the former Soviet Union declined for Russian gas giant Gazprom following prices for hydrocarbons, from nearly $50 billion to 31.6 billion. The average price dropped to a multi-year low in 2016 at $176 per thousand cubic metres. In 2017, the average price increased by 14% to $200 and revenue climbed to 39 billion dollars, i.e. growth in sales revenue was 32% due to a rise in the volume of sales. In the first half of 2018, the price already grew by 21% year on year (to $233) and revenue surpassed 23 billion dollars (a 29% growth). We expect in 2018 growth in sales to Europe and Turkey to 197-200 billion cubic metres depending on weather and the situation on the Turkish market. Revenue may total $47-49 billion. Decline in gas extraction in the EU got a new powerful impulse in 2018. Production fell by 4.7 billion cubic metres (7%) in the first half of the year to 62.3 billion cubic metres. If this trend continues, the European Union countries will not produce more than 122 billion cubic metres during the entire year 2018. It should be noted that production decline affected not only the Netherlands that lost 2.5 billion cubic metres (10.4%) during the first six months, but also other producers. The United Kingdom lost 0.9 billion cubic metres (4.1), Germany about 0.6 billion cubic metres (16.7%), Denmark 0.3 billion (13%), and Romania 0.2 billion (3.7%). Import is growing at a higher rate than consumption. Import growth dynamics slowed down in 2018. The effect is felt of growth in prices, consumption decline, and lower reserves in USF at the beginning of the new heating season. Thus gas import into the EU was 314.6 billion cubic metres during the first 10 months, as much as in January-October of the previous year. Nonetheless, it was Russian gas flows to the European Union that showed a climb (of 4 billion cubic metres) because some other sources offered the market less gas. 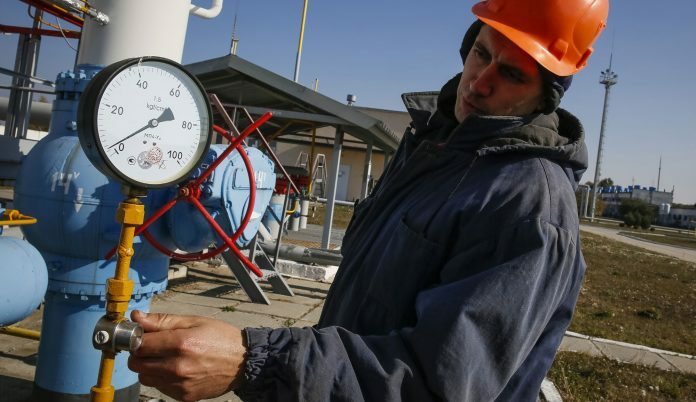 At the same time, allowing for a reduction of reverse flow supply to Ukraine, which shrank by 2.8 billion cubic metres during the 10 months, growth in net import of Russian gas into Europe may be estimated at 6.8 billion cubic metres. And it was Russian gas that enabled the EU countries to live through the abnormal frost in late February and early March 2018 without much trouble. Supply from Norway decreased in January-October by 1.85 billion cubic metres year on year and LNG supply by as much as 3.4 billion cubic metres. Import of gas by pipeline from North Africa rose by 1.4 billion cubic metres thanks to supply of Algerian gas to Spain. Gazprom’s sales to the EU markets grew even more than physical flows (the difference is explained with sales of gas injected into USF on the threshold of the heating season). The share of Gazprom on the natural gas market in the EU reached 34% in 2017 and is likely to surpass 36% in 2018. The share in import is 44% and 46%, respectively. Thus it is possible to say that Gazprom has realised the full potential available to it on the European market given the current level infrastructural development and its order book. Further expansion of supply requires more gas pipeline capacity subject to modernisation, at least partial, of the Ukrainian gas transport system. At the same time Gazprom is looking for ways to expand its market presence using new instruments. After an experiment with auctions to sell gas on the spot market to the Baltic States and Europe in 2016 and 2017, a permanent Electronic Sales Platform (ESP) was launched in autumn 2018 to sell gas to European clients on a short-term basis in various delivery points. In total, a little over 1 billion cubic metres was put up for auction for delivery during the fourth quarter of 2018 (for one month ahead). Of that about 70 million cubic metres is offered for delivery in October and 477 million and 492 million cubic metres are the maximum quantities that can be delivered in November and December, respectively. Potential buyers were offered as delivery points: Gaspool VP and NetConnect Germany in Germany; Waidhaus (on the border between the Czech Republic and Germany); Baumgarten (on the border between Austria and Slovakia); Oberkappel (on the border between Austria and Germany); Arnoldstein (on the border between Austria and Italy); and the virtual hub VTP in Slovakia. In total, just below 1 billion cubic metres of gas was sold. Thirty-seven million 400 hundred thousand cubic metres was sold for delivery October, 532.8 million in November, and 423.9 million in December. The leaders among the delivery points were the hub in Slovakia (over 460 million cubic metres) and Waidhaus (280 million cubic metres). They accounted for almost three-fourths of all sales. About 46% of gas was sold in Slovakia, 40% in Germany, and only 14% in Austria. Gazprom easily sold the entire volume offered on a short-term basis due to the fact that quotations for gas at European hubs continued to exceed the prices under long-term contracts. Therefore, the deals were attractive both to the seller (it got an opportunity to earn a premium compared with the price level in its usual order book) and to the buyer (it got a discount on the hub price). Record exports create a favorable background for the promotion of Gazprom’s gas transportation projects in the direction of Europe and Turkey. Construction of the Nord Stream 2 and TurkStream gas pipelines is actively developing, and their success is quite evident. Sea sections of both lines of the TurkStream and over 400 kilometers of the Nord Stream 2 have been already built. However, on the political level there are many quite serious hindrances on the way to successful completion and normal functioning of these pipelines bypassing Ukraine. But the main trump card of Nord Stream 2 is the direct and keen interest in it of important countries of Central and North-Western Europe, first of all Germany and also Austria, the Netherlands and France. These states understand that without additional infrastructure there are risks for stable not expensive supply of gas. 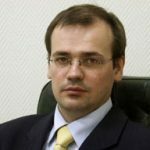 Konstantin Simonov is General Director of the Moscow-based National Energy Security Fund.